to go straight to the catalog. 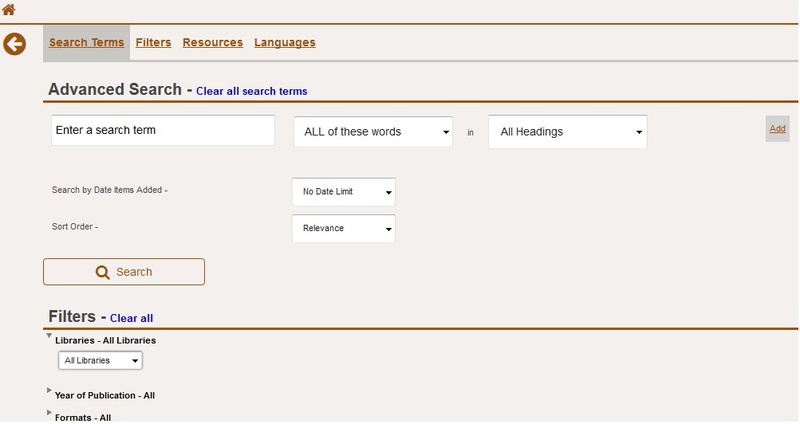 Type a title, author or keyword into the search box at the top of the screen. To limit the search, select a different index, click on the box with the check mark and select a different index. The results of a search are displayed as a gallery that you can scroll through. You can limit the result further using links on the left side of the screen. You can easily see the title, author, format, and availability immediately below each cover (note that not all items will have a full cover shown). You can place a hold on a book from this screen (you will need to log on to do this). You get more information about a book, including the call number by clicking on View Full Details.